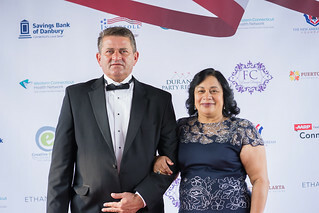 The fourth annual American Dream Awards Gala, hosted by Tribuna Newspaper and The New American Dream Foundation, Inc. (TNADF), a 501(c)(3) organization, was held on Saturday, September 16, at the Amber Room Colonnade, with nearly 400 guests and award winners in attendance. Danbury Mayor Mark Boughton and TNADF’s Vice-President, Emanuela Palmares, were the co-masters of ceremonies for the evening, marked by moving speeches and emotional videos produced by RmediA of Danbury, featuring past recipients as well as the evening’s honorees. 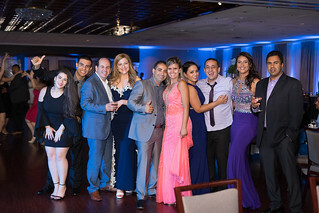 The program began with a tribute to Attorney Americo Ventura, 2015 American Dream Lifetime Achievement Award recipient, who passed away during Labor Day weekend. Over $10,000 in scholarships and awards were given in the American Dream Awards portion of the program. An additional $15,000 was raised from ticket sales towards Mission Health Day – a day of free health screenings and other community services for the uninsured and the income challenged, which will be hosted by Western Connecticut Health Network and Western Connecticut State University, on October 28 from 9am-3pm at the Bill Williams Gym on the WCSU downtown campus. The nomination process for the 2017 American Dream Awards began last April and ended on June 15. There were three categories to the awards that were open to the public for nomination: American Dream Person of the Year, American Dream Students of the Year, and American Dream Veteran’s Award. Eighty-three applications were received from nominees who were born in the United States, and others who migrated to our state from Brazil, Peru, Mexico, Colombia, Ecuador, the Republic of Macedonia, Thailand and India. 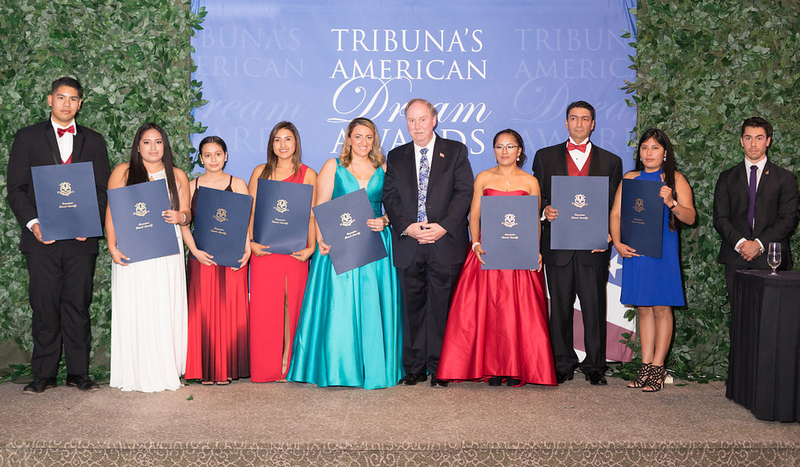 The Tribuna Newspaper editorial board selected winners for the other two award categories: American Dream Leadership Awards and American Dream Lifetime Achievement Award. The American Dream Leadership Awards recognized those who have taken the lead in the immigrant community in supporting its members, with a focus on the areas of health, education and civic engagement. The winners of the Leadership Award were Honorable Danbury Probate Judge Dianne E. Yamin, Wilson Hernandez, president of Ecuadorian Civic Center of Danbury, and Dina Valenti, clinic director of Boehringer Ingelheim AmeriCares Free Clinic of Danbury. Judge Yamin mentioned how she “loved to reach out to the immigrant community about standby guardianship,” referring to a plan she has been spreading awareness about, which would prevent children with undocumented immigrant parents from becoming wards of the state in the event of their parents’ deportation. The Lifetime Achievement Award for the greatest success in one’s life was given to Mr. Farooq Kathwari, chair, president and CEO of Ethan Allen Interiors, Inc. Before he came up to the podium, the audience was treated to a brief video featuring Mr. Kathwari in his youth, as he narrated his arrival in America, and his eventual hiring by and rise within Ethan Allen. During his acceptance speech, Mr. Kathwari said, “The greatest strength of America is its diversity,” noting that a large part of what makes America great is how it acts as a microcosm of the world. 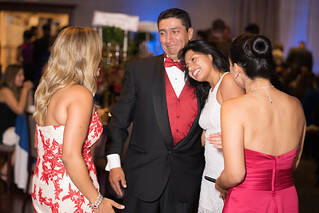 The event and awards would not have been possible without the generous support of its sponsors: Gold Level – Ethan Allen Interiors, Inc., Ingersoll Auto of Danbury, Union Savings Bank, Western Connecticut Health Network and RmediA; Silver Level – Savings Bank of Danbury and Durants Party Rentals; and Bronze Level – AARP of CT, Puerto Vallarta Restaurant and Rizzo Companies.